Running Press Kids, 9780762462698, 14pp. 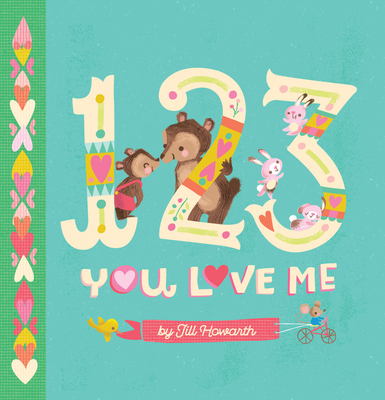 A counting board book about love for family and friends while teaching kids to count from 1 to 12. Jill Howarth began her career as a senior designer and art director at Hasbro Toys then transitioned into full-time illustration. Her previous illustrated children's books are Jingle Bells and The ABCs of Christmas. She lives in Westborough, MA.